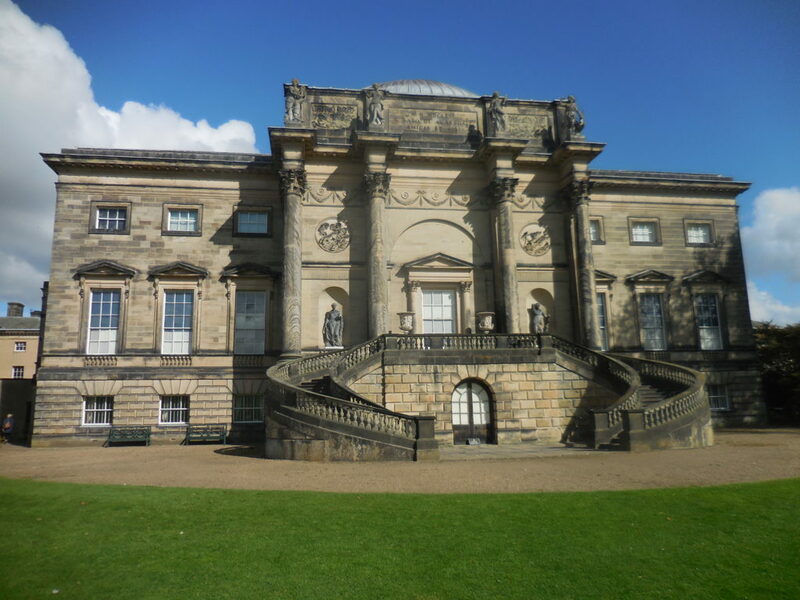 Number One London’s 2017 Country House Tour included visits to nine country houses, beginning with Wentworth Woodhouse, followed by Kedleston Hall, one of Britain’s finest houses. 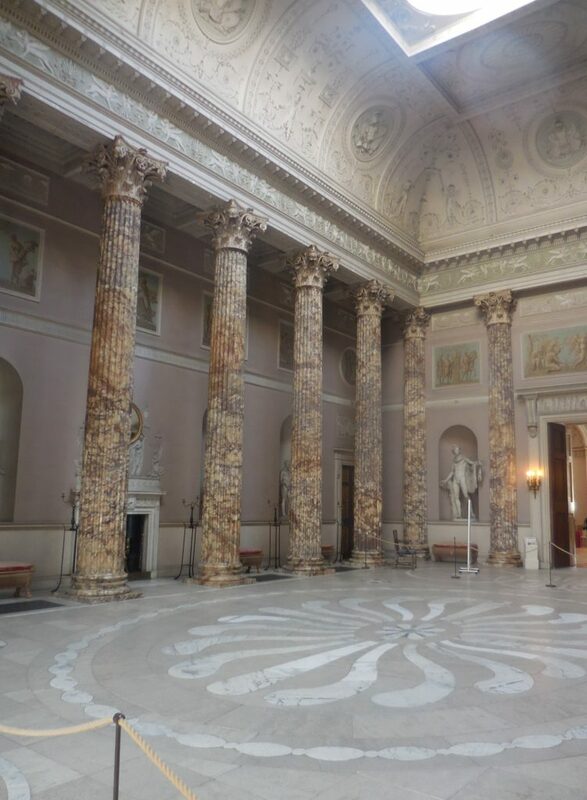 The estate of the Curzon family since the 12th century, the present hall was built in the mid-18th century. 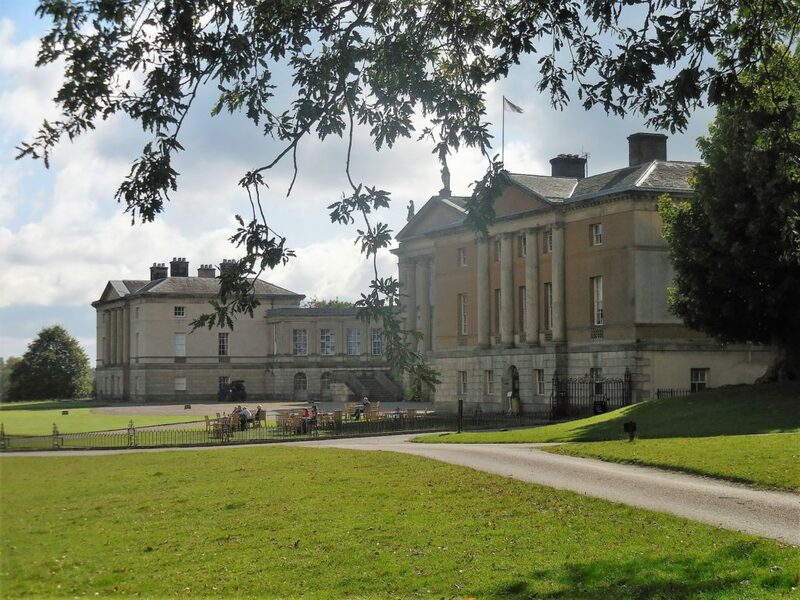 The original architects, James Paine and Matthew Brettingham, laid out a sober Palladian block with four (eventually, just two) side villas all attached by colonnades. 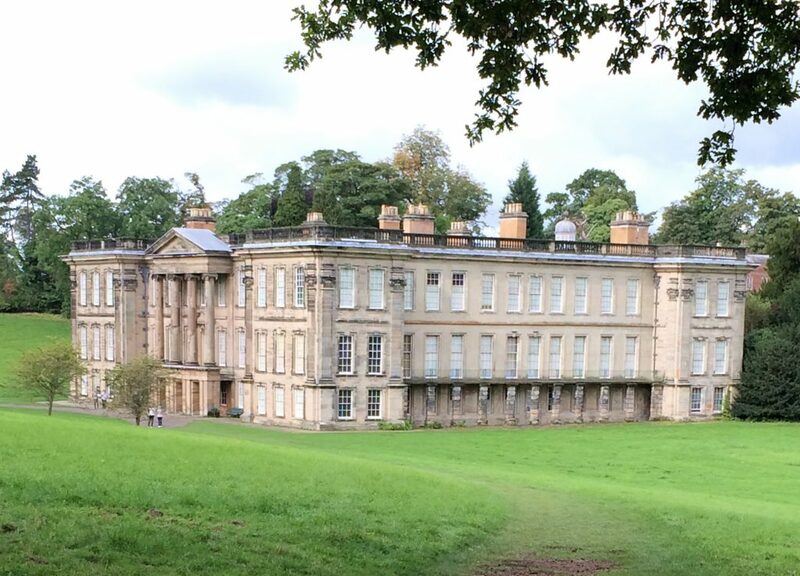 Scottish master designer Robert Adam altered the plan and re-designed the more “rococo” south or garden facade. 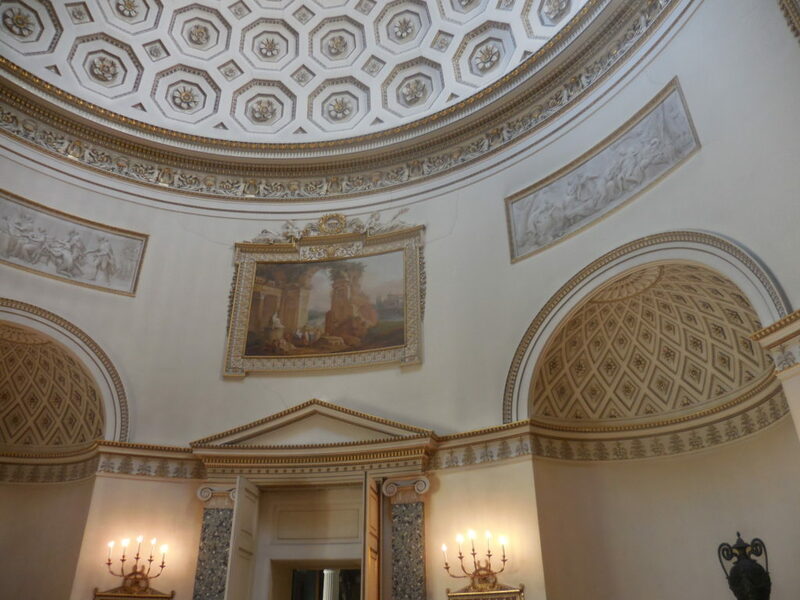 The house has a spectacular interior, intended for entertaining on a grand scale. 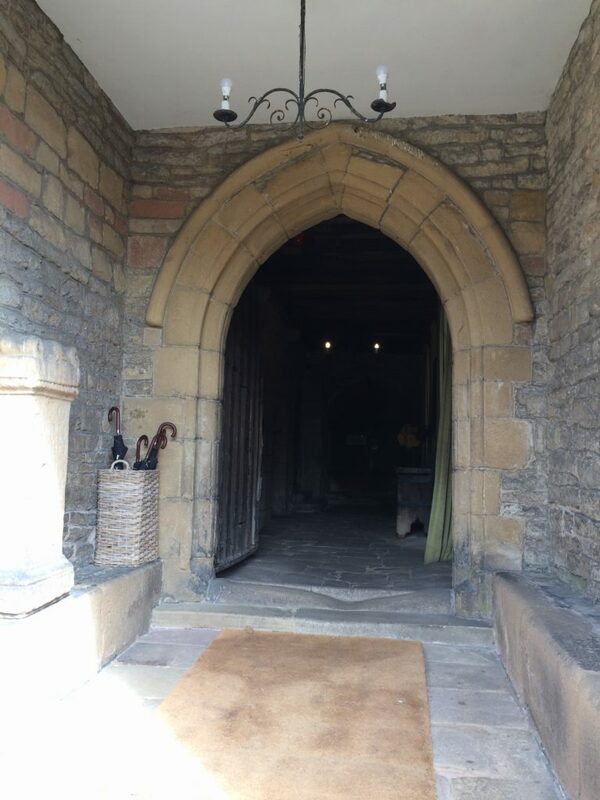 The house, inside and out, is flawless. 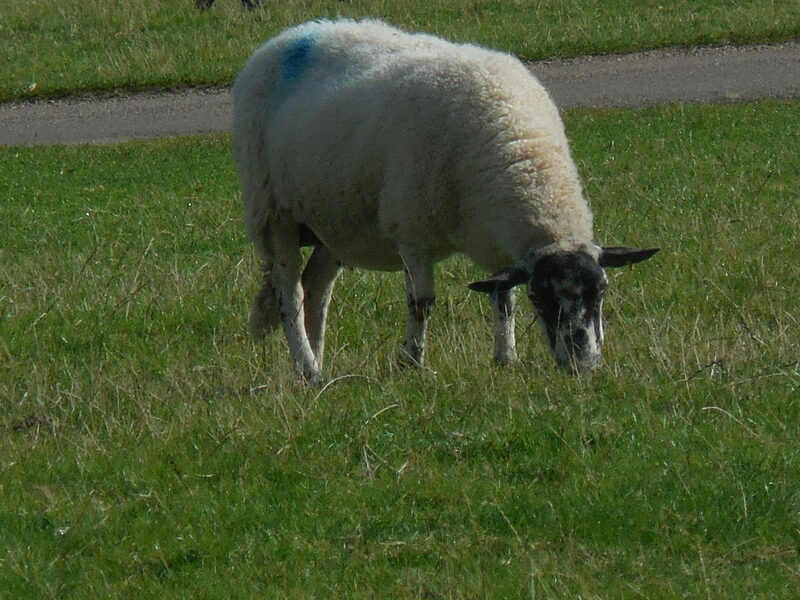 And, like almost all stately homes, the residents are equally fascinating. 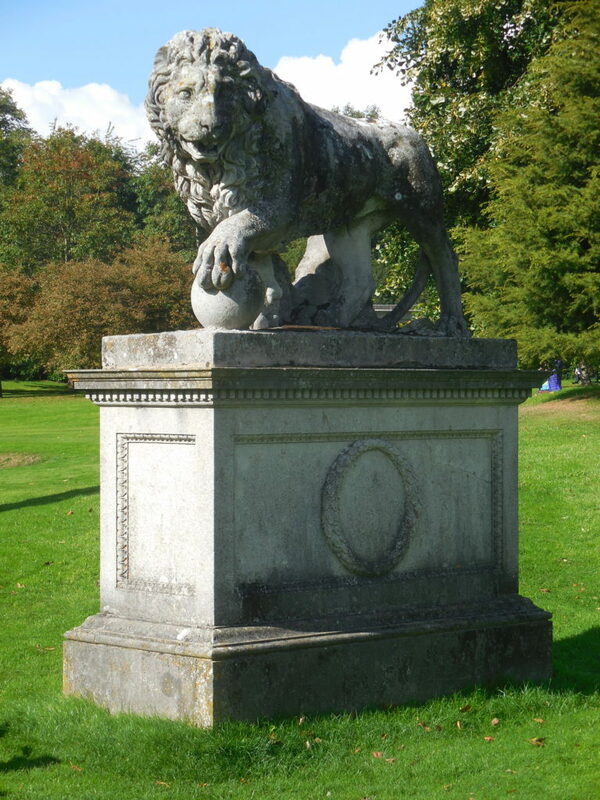 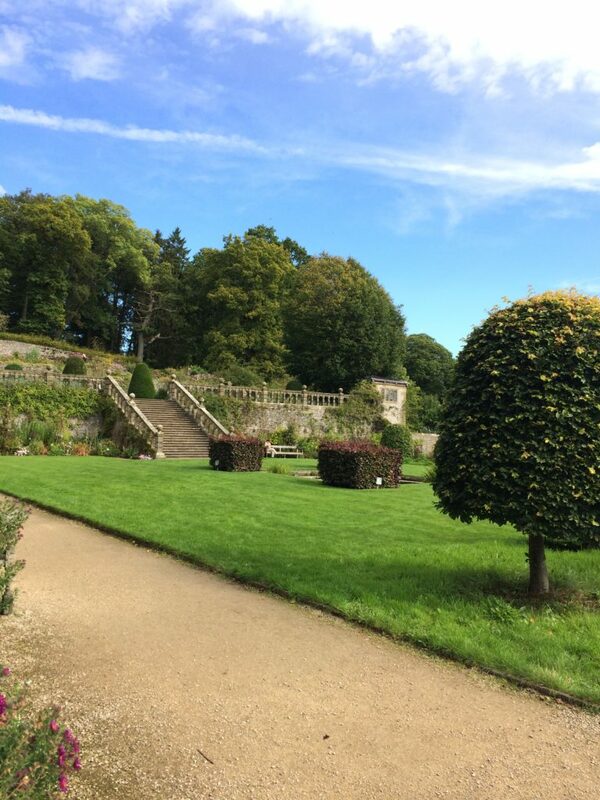 The gardens are extensive and dotted with statuary and follies, as well as sweeping lawns featuring the requisite sheep. 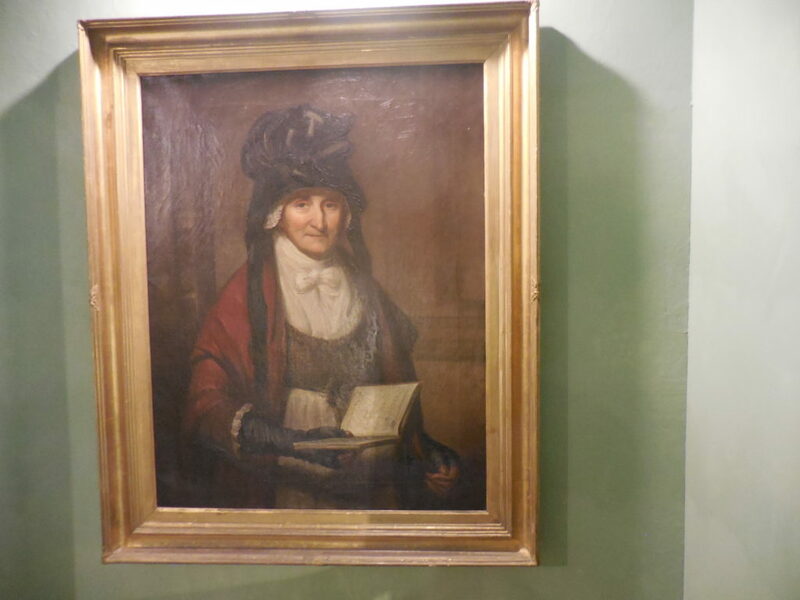 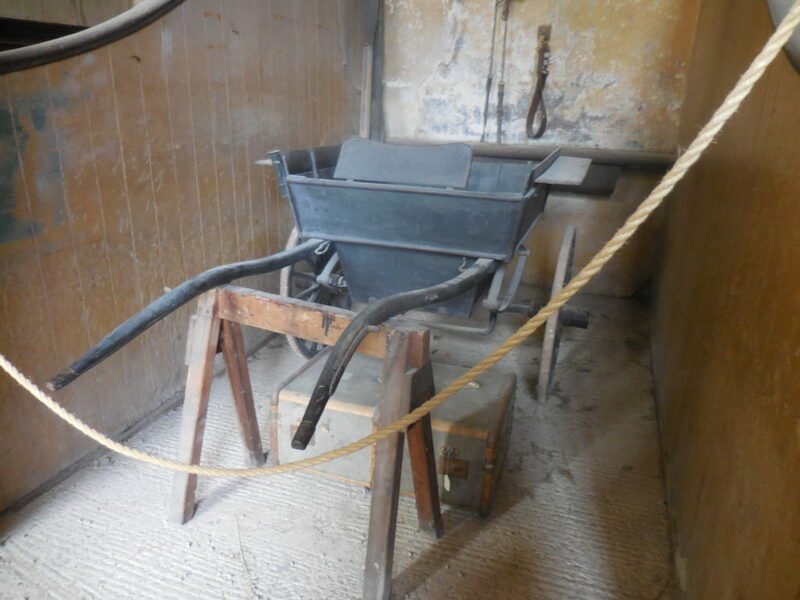 In the words of the website, visitors “explore the tales of an eccentric and reclusive family who amassed a huge collection of hidden treasures.” We wandered the stables, full of dusty reminders of former equine residents. 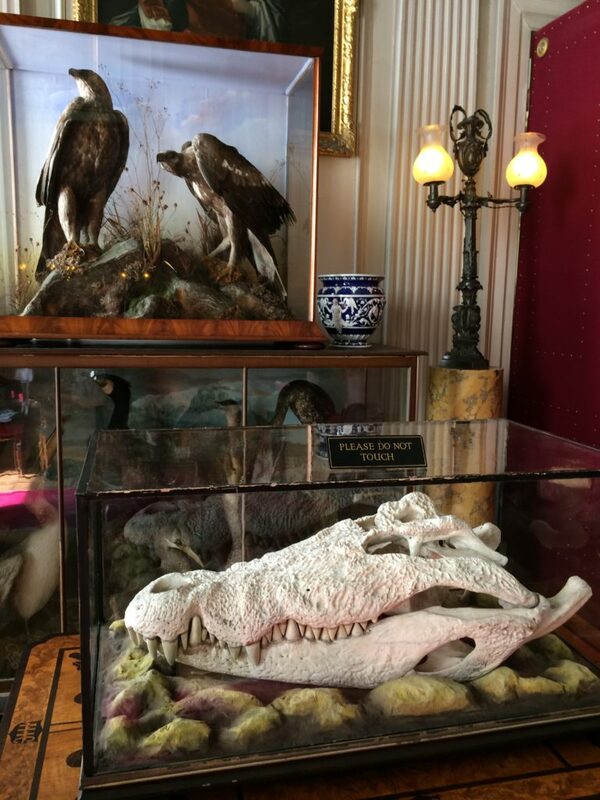 The house is better dusted but jammed with furniture, knick-knacks, old magazines, long forgotten boots, pictures dimmed by time, and a hideous collection of hunting trophies, particularly stuffed birds. 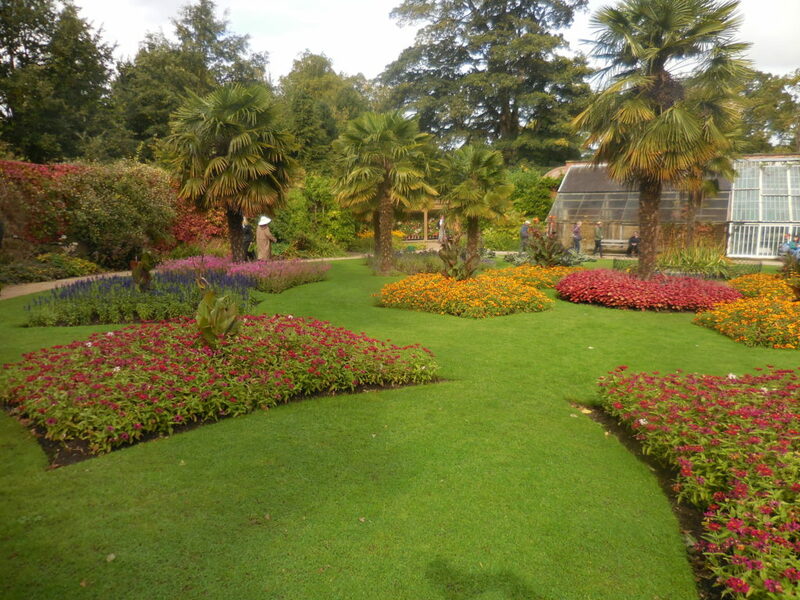 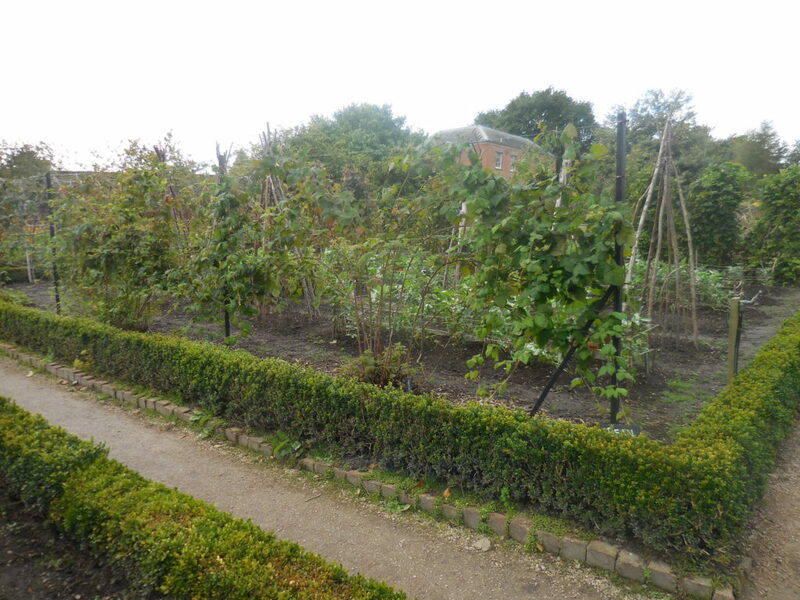 The extensive gardens, however, were spacious and well-tended. 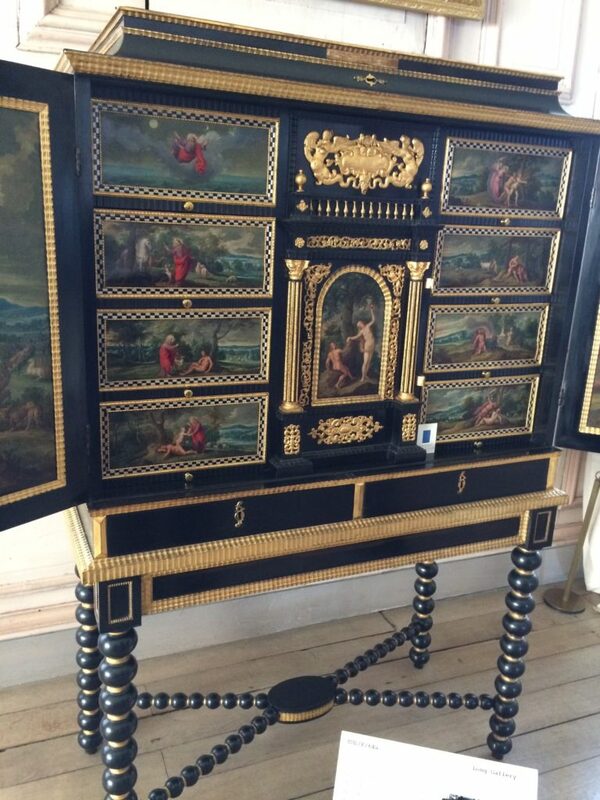 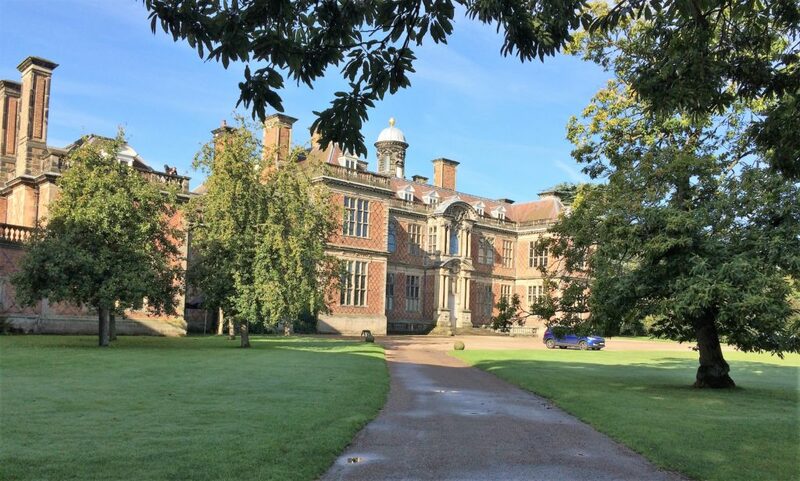 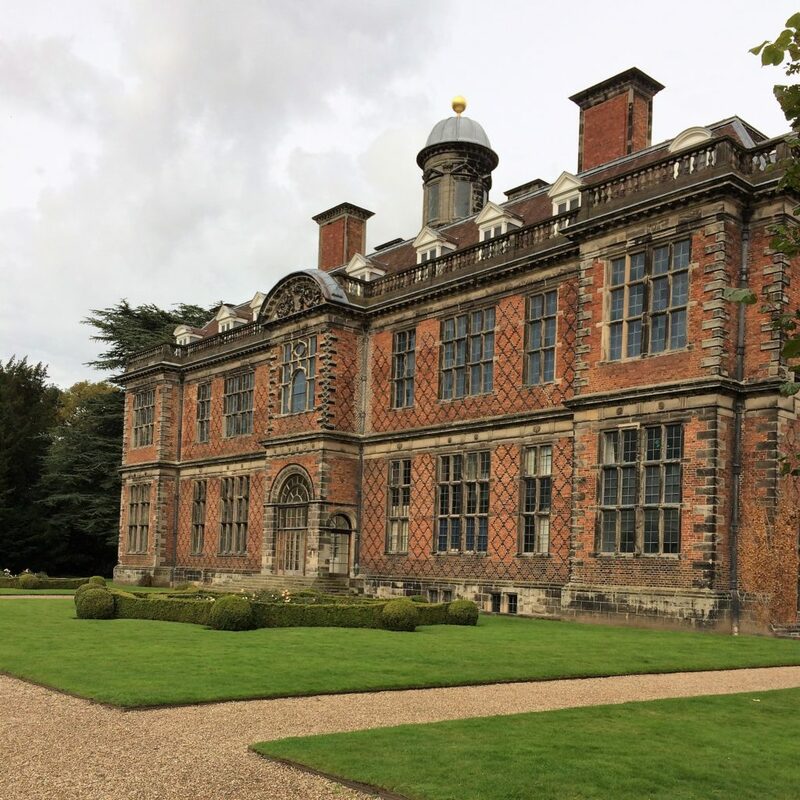 The third house we toured was Sudbury Hall, a 17th century Restoration house, but it carries features from the earlier Tudor style, such as the blue patterned design (diapering) on the front, or northeast facade. 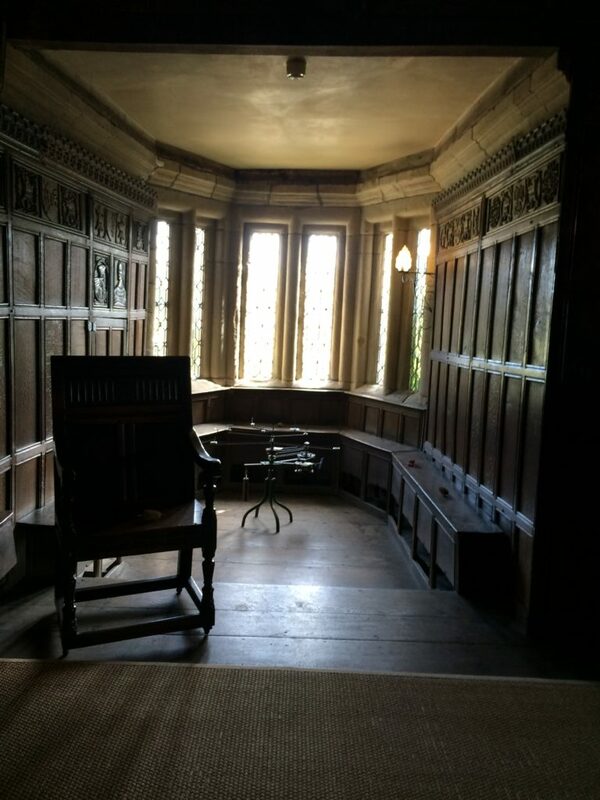 Contrasting with the Tudor features are Jacobean and baroque elements as well. 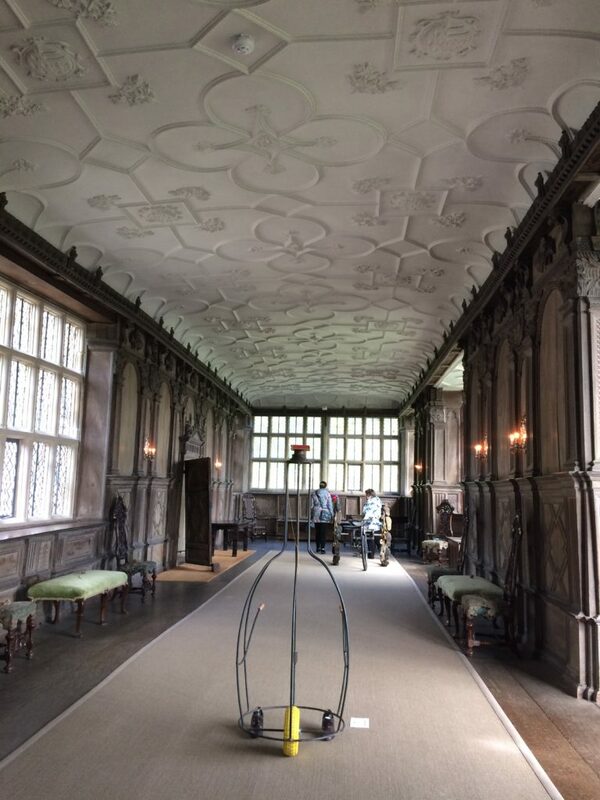 On the uppermost floor is a Long Gallery, probably the last one built in a British stately home. 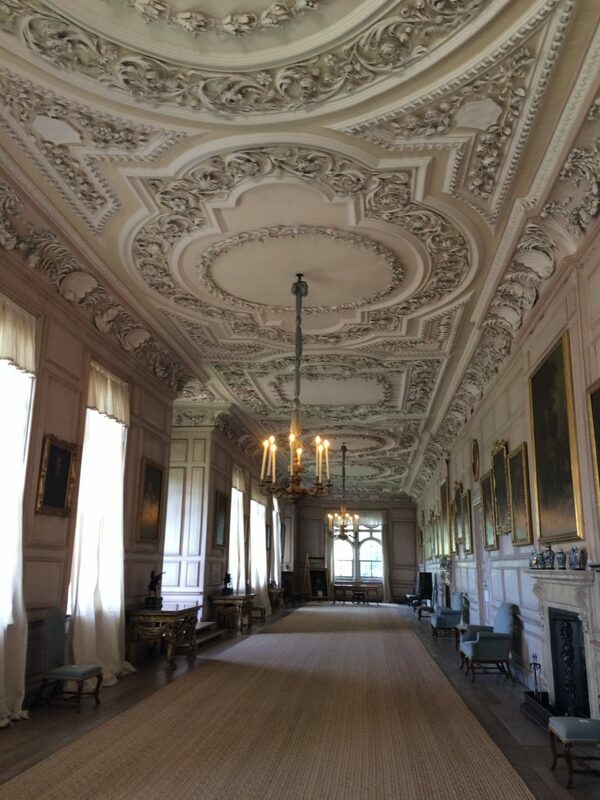 The brilliant plasterwork and sweeping length, more than 160 feet long, forms a beautiful setting for a collection of portraits and fine furniture. 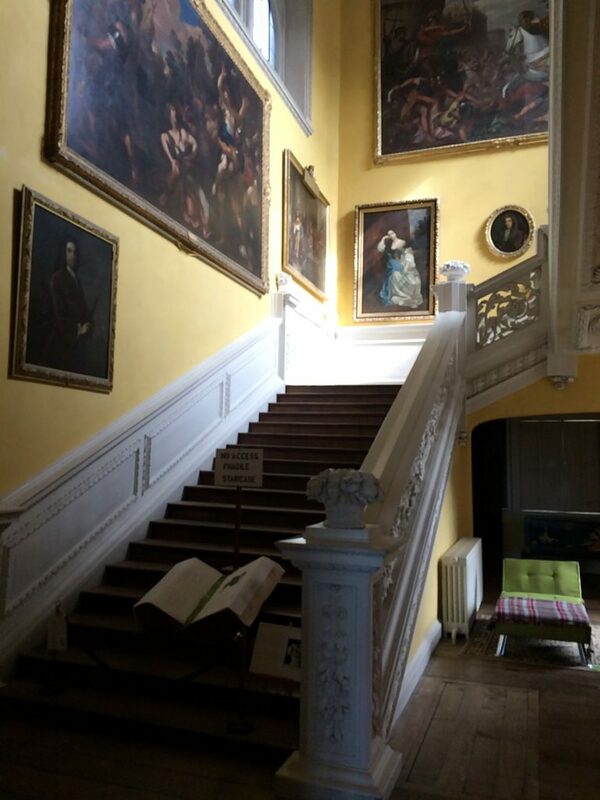 The Great Staircase is particularly praised, though due to its fragility, it is no longer used except for the occasional appearance in film. 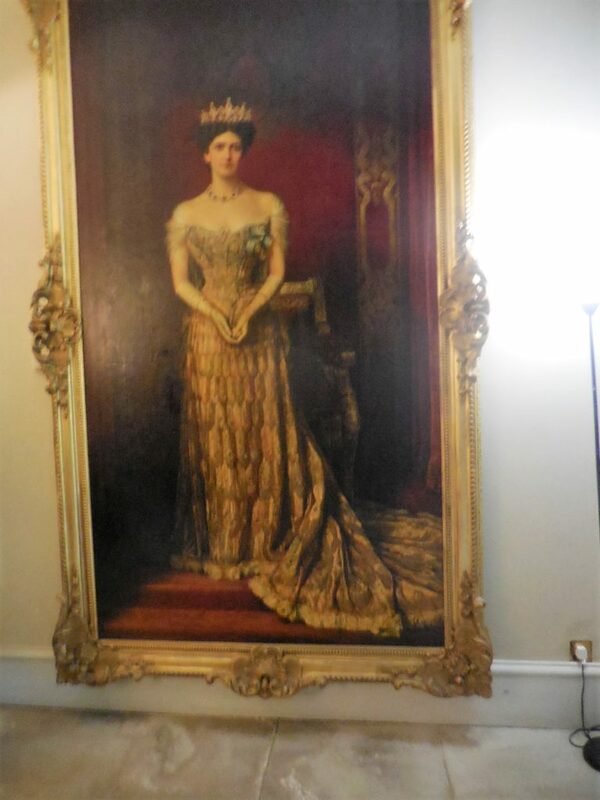 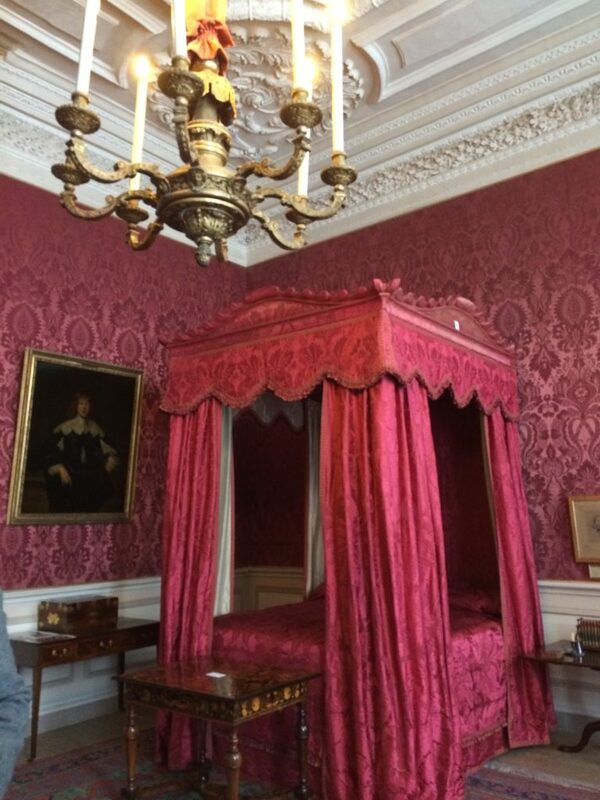 The magnificent Red Room was once the home of the Dowager Queen Adelaide — as well as the place where Darcy changed his coat in the 1995 BBC production of Jane Austen’s Pride and Prejudice. 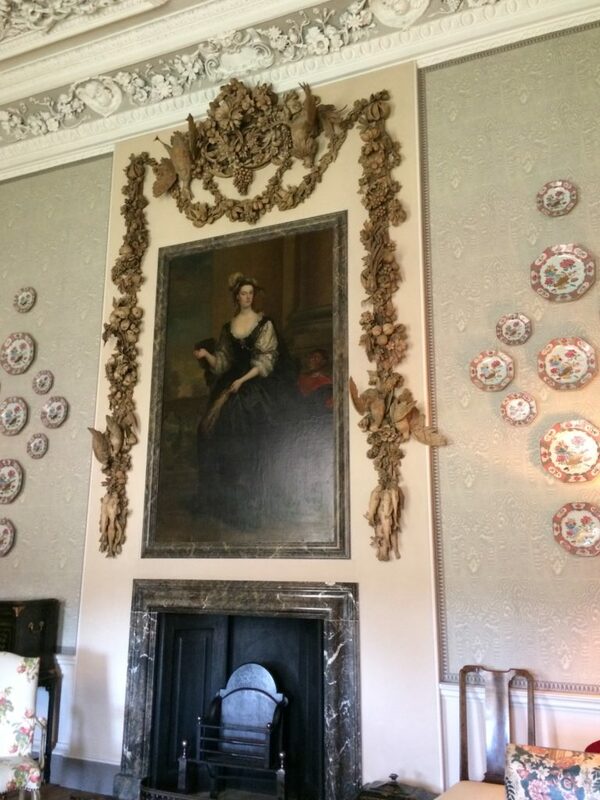 In the Drawing Room, the chimney piece is adorned with one of Grinling Gibbons’ finest carvings, dated 1678. 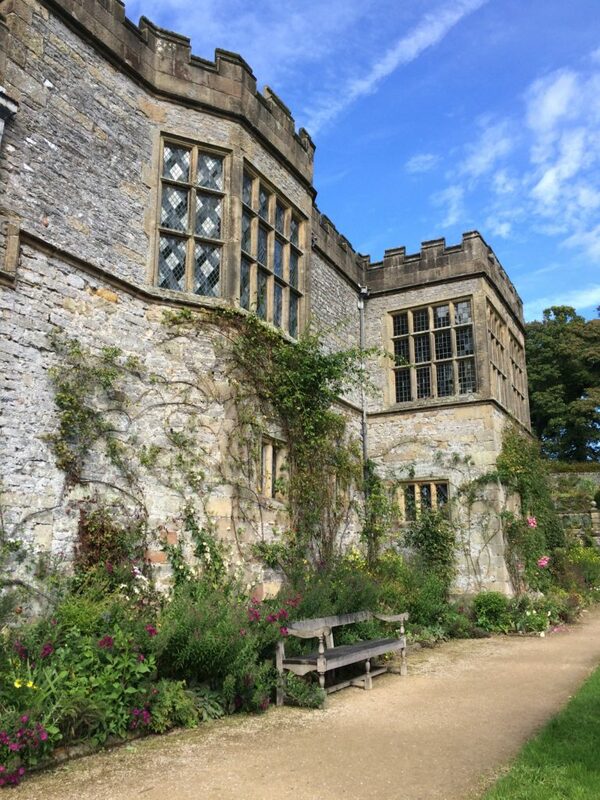 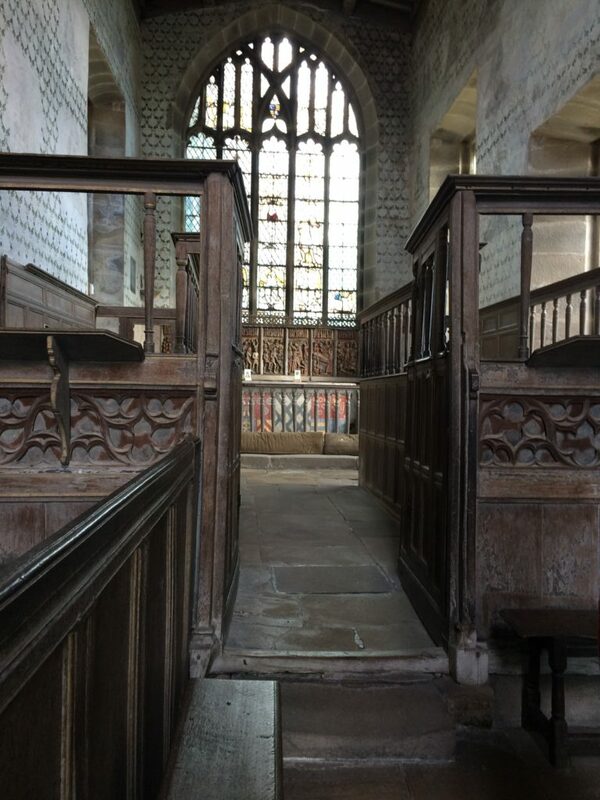 From the the 17th century, our Number One London Tour of country houses in or near Derbyshire traveled backward in time to medieval days at Haddon Hall, one of the best preserved houses of its day. 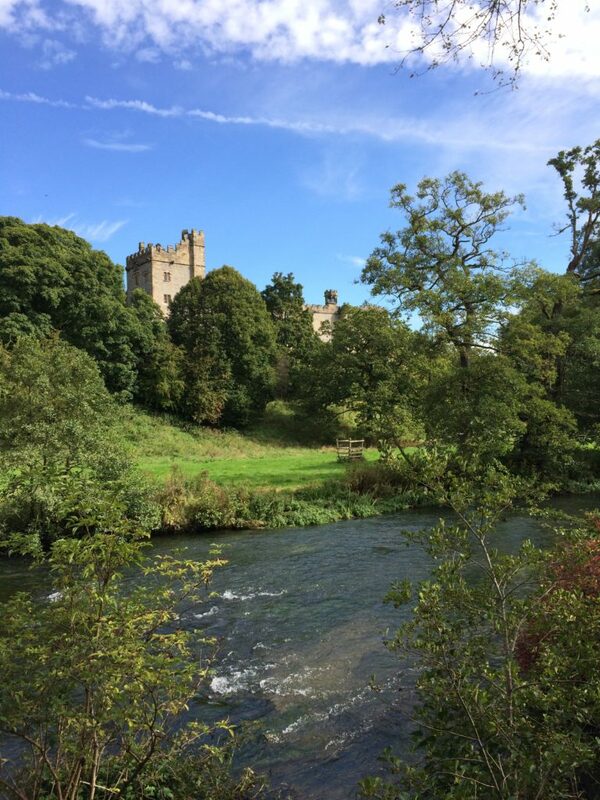 Like many of the remaining examples of medieval residences in Britain, Haddon Hall came to the Manners family by marriage to an heiress, Dorothy Vernon, in 1562; the Vernon family had acquired the manor in the 12th century by a similar marriage to an heiress. 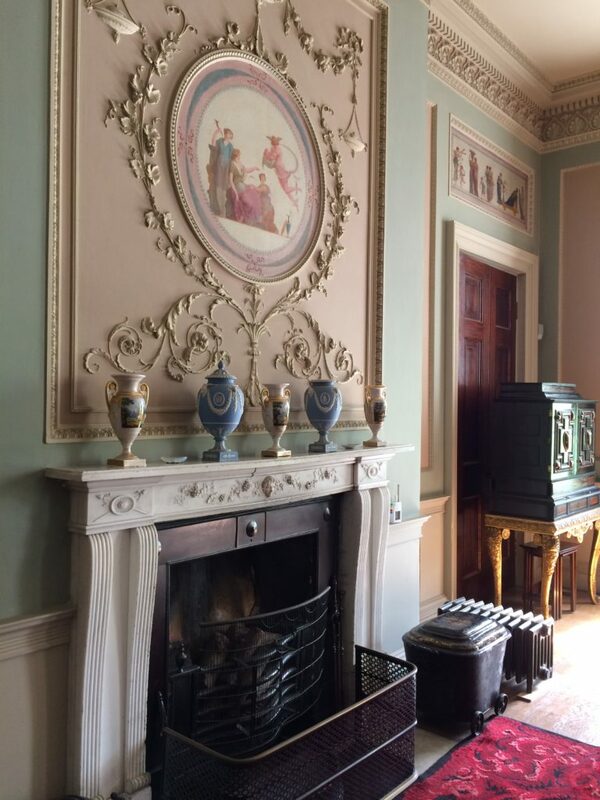 Being a secondary home of the families, it remained relatively untouched and thus it is a fine example of period architecture. 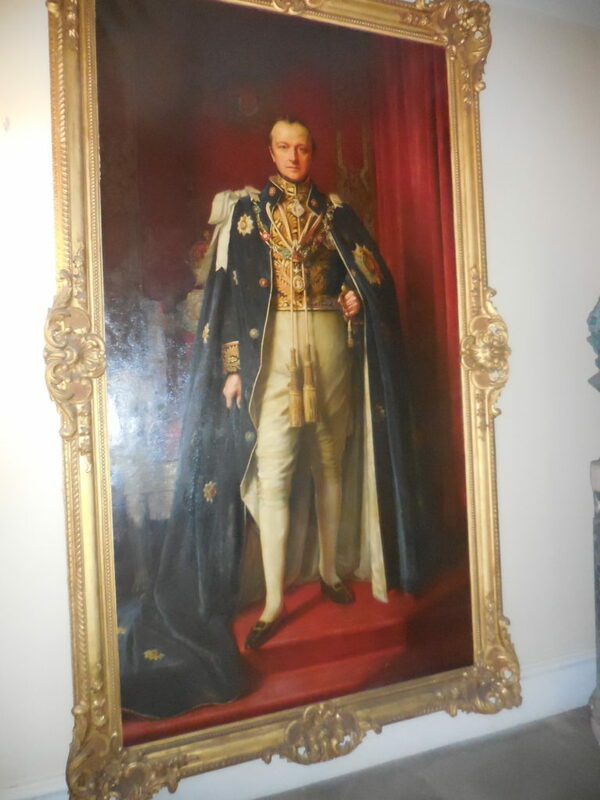 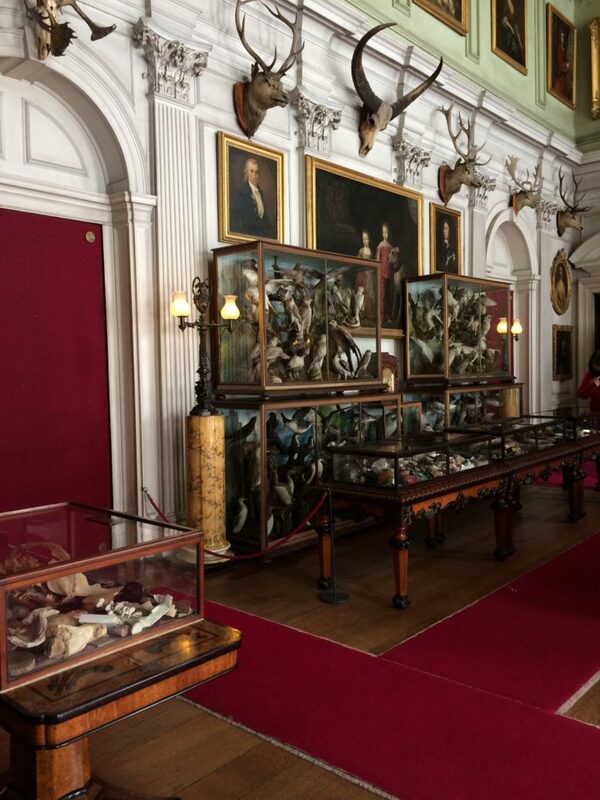 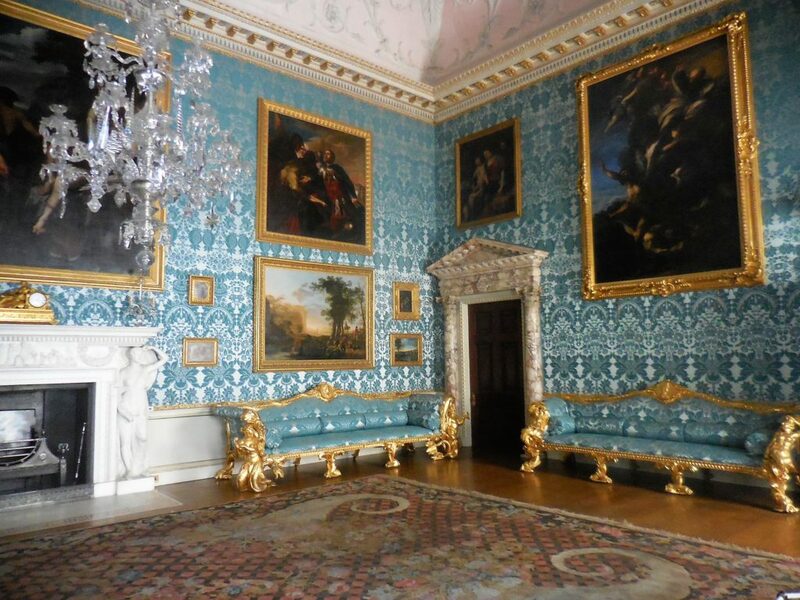 In our next post, Act Three, Number One London Tours takes on Chatsworth, Hardwick Hall, and Tatton Hall. 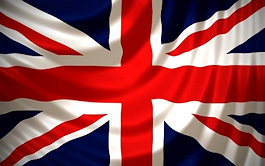 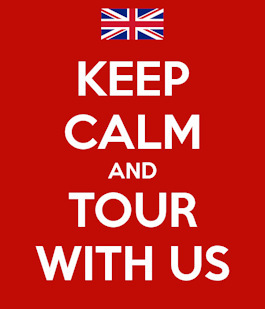 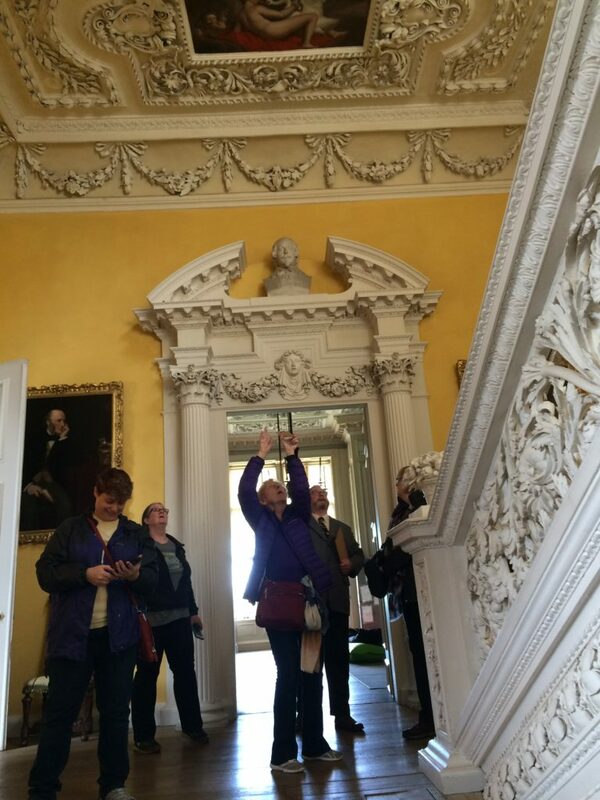 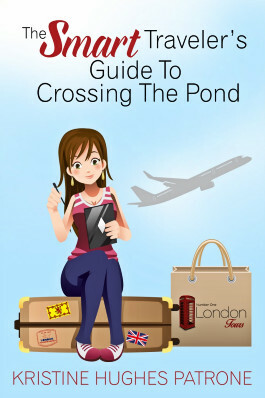 Find details regarding Number One London’s 2019 Country House Tour here.